David Yamini, MD is double board certified in Gastroenterology and Internal Medicine. He received his medical degree from the University of Miami Miller School of Medicine. 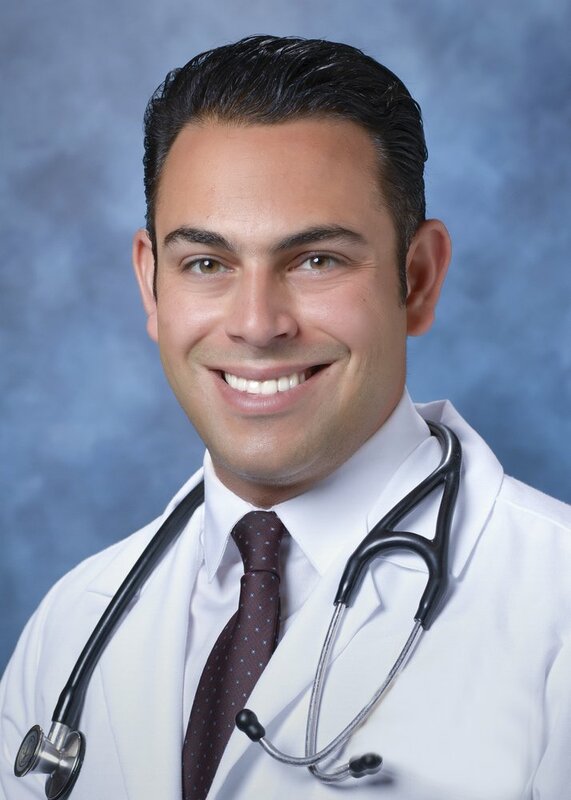 He then completed three years of Internal Medicine residency training at Cedars­Sinai Medical Center, followed by three years of fellowship training in the Department of Gastroenterology and Liver Diseases at Loma Linda Medical Center. Dr. Yamini specializes in medical disorders of the digestive disease system and gastroenterology systems that effect the small intestine, stomach, esophagus, gallbladder, liver, and pancreas, including inflammatory bowel disease (Crohn’s Disease, Ulcerative Colitis), indigestion (dyspepsia), small intestinal bacterial overgrowth SIBO) and irritable bowel syndrome (IBS). He performs a wide variety of diagnostic and therapeutic procedures including colonoscopy and upper endoscopy (EGD), and has a special interest in diseases of the digestive tract, biliary system, liver and pancreas with proficiencies in Endocopic Retrograde Cholangiopancreatography (ERCP), diagnostic small bowel capsule endoscopy (a pill swallowed to examine and take videos of the small intestine), and breath tests to diagnose and subsequently treat small intestinal bacterial overgrowth. Dr. Yamini treats both chronic and acute GI problems and focuses on a strong preventative approach for diseases such as colon, pancreatic and esophageal cancer. Dr. Yamini has staff privileges at St Johns­Providence Medical Center as well as other local hospitals in Los Angeles. Dr. Yamini has presented research at various national gastroenterology meetings and has authored numerous peer­reviewed publications in the fields of Hepatitis C Cirrhosis, Biliary Diseases, Irritable Bowel Syndrome, and Small Intestinal Bacterial Overgrowth, in several medical journals. Dr. Yamini is an active member of the American College of Gastroenterology, American Society for Gastrointestinal Endoscopy, and American Gastroenterological Association. As a Los Angeles native, Dr. Yamini is ecstatic to be practice where he grew up.